✔ Motivational Support & Habits keeping you on the right track! HEALTH & FITNESS FOR THE BEST HALF OF YOUR LIFE ! 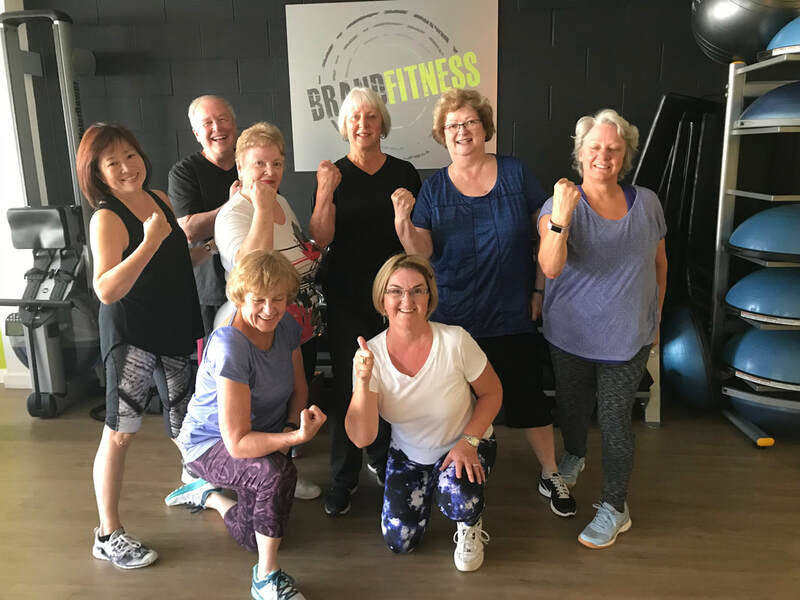 ​BRAND FITNESS is a Boutique Fitness Studio / Gym in Langley, BC, locally owned, and run by Marion Brand, Personal Trainer and Functional Aging Specialist. My focus is on FUNctional Fitness for men and women over 40. Helping you achieve your Health and Fitness Goals for the BEST HALF OF YOUR LIFE! FEEL BETTER ... LOOK BETTER ... LIVE BETTER!! 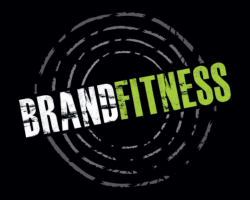 Become a BRAND FITNESS​ Insider! ​Listen to What our Members are Saying! ​LET'S CONTINUE TO BE YOUNG, HEALTHY & FABULOUS! 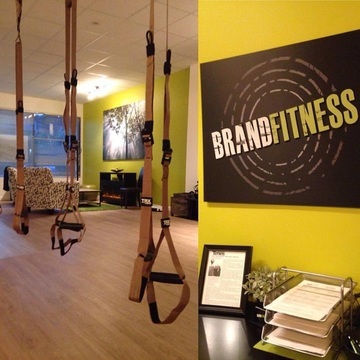 ﻿﻿﻿Brand Fitness is a Boutique Fitness Studio | Gym, in Langley, BC, helping you Live the Best Half of your Life! We focus on FUNctional Fitness in a small group setting, working all planes of motion, increasing strength, flexibility and energy levels. ​We are not your typical Gym, but a small intimate studio helping you every step of the way. All sessions are led by Certified Personal Trainers, so you feel confident to know you are receiving professional guidance on proper form, and are doing the right exercises for YOU! Alison has lost over 25 lbs since joining Brand Fitness. She's in her 60's, is active, travels and is loving her life! Margaret is a long term member of Brand Fitness and continues to look and feel Fabulous! Listen to what she has to say on our Testimonial video above. Christine first came to Brand Fitness with her sister and friend, with a bit of reluctance. She is now loving and enjoying her time at the studio and her awesome results! 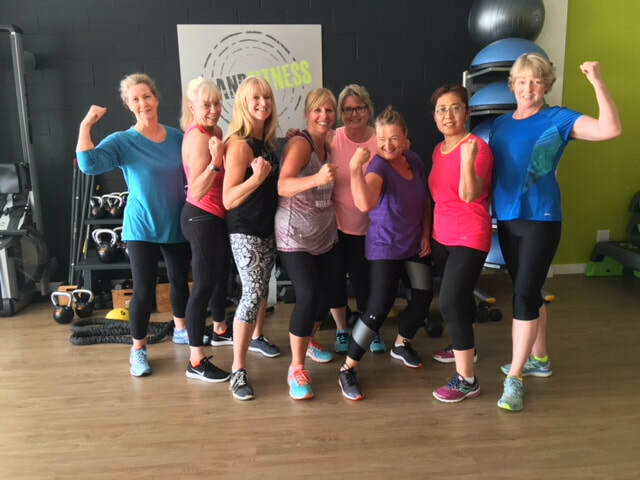 "Brand Fitness is a wonderful, small group fitness option - Marion is passionate about helping individuals increase their own personal fitness - no matter what the current level of fitness is. This studio is a safe haven for everyone - there is a wonderful and warm environment that is fun and fosters friendships. Every session is inspirational and fun! You will be challenged, you will be sore, BUT you will be successful and YOU will feel great!." 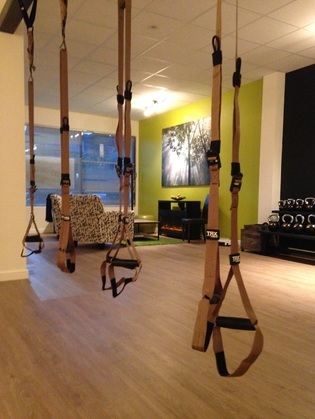 "This is an awesome new fitness studio in Langley. I'm feeling so much better since I started working out here. I have more energy and my clothes fit better. I'm getting stronger too! What is really great is the way Marion has everyone feeling comfortable, regardless of age or ability level. She's always positive and happy, and it's contagious. The groups are friendly and welcoming, and you'll never feel out of place, no matter how out of shape you think you are. ... Try it!" ​IT's NOT AGE ... IT's ATTITUDE! Are in your 40's, 50's, 60's or 70's and looking for a gym to help you reach your goals of better Health and Fitness? Somewhere you feel comfortable with people working towards the same goals as you? Well, you've found your HOME with BRAND FITNESS! We cater to Helping the Fabulous people of Surrey, Cloverdale, Langley, Aldergrove and surrounding areas get in the Best Shape of their Life! We are here to help you stay Young and Healthy so you can do what you're supposed to be doing ... ENJOYING AND LOVING LIFE! Eating small meals every 2-3 waking hours will increase your metabolism and reduce fat storage. Make sure that these are healthy meals containing balanced amounts of protein, carbohydrates and fat. During your workouts do exercise that incorporate compound movements rather than simple ones. This will not only help in burning more calories, but will also tone more muscle at once! A few good compound movement exercises include: squats, dead lifts, bent over rows, and lunges. Make sure to incorporate the help of a certified trainer, to make sure you're doing the movements correctly, also eliminating injury. Our BRANDFit50 Small Group Training Program incorporates compound movement, strength, flexibility, balance and cardiovascular exercises. Pump some Iron! Did you know that 1 lb of muscle burns 30-50 calories per day, while 1 lb of fat only burns about 9 calories per day? The more muscle your body contains the more calories you burn each day. Resistance training has been called the fountain of youth – and it really is! Set fitness goals for yourself, write them down and post them where you will see them everyday. Your goal may be to lose 5 pounds, or to lose 5 inches off your waist. Make sure that you are very specific with your goals, vague goals will get you nowhere. A qualified personal trainer can help you set your goals and guide you to them. The key to weight loss and fitness gains is to consistently give your body new challenges. Mix up your workouts every few weeks, and don't be afraid to try something new! Hire a personal trainer who can help you add new excitement to your fitness program. Our BRANDFit50 Small Group Program will always give your body new challenges as you progress. ​If you want to Live a Long, Healthy and Active Life, with personalized coaching to get you there, then you'll want to apply to become a member of our FUNctional Fitness Programs. 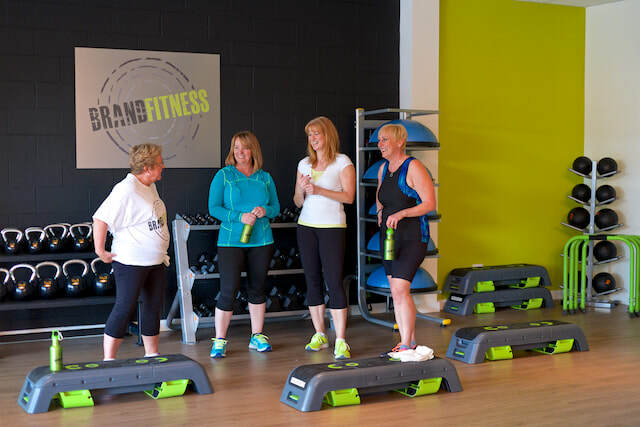 Our BRANDFit50, Small Group Training Program, at our Langley Gym, is designed to help you enjoy the Best Half of your Life! We are limited in the numbers of Fabulous Members we accept into our programs. Apply today to find out if you are the right fit for our Personalized Training Programs! ​APPLY NOW to become FIT & FABULOUS! Brand Fitness is ready for you! Join us at Brand Fitness! Love the atmosphere and the personal connections made in the small groups. I love coming to work at at the studio! Love the trainers and the community at Brand Fitness! The trainers, fellow workout friends are fabulous! I’ve been a member for 2 1/2 years. I feel it’s the best place for women to come and get a great workout. I became a personal trainer from having such a great experience with Marion and now teach and train there. Love this place. Because BrandFitness is awesome! Always a different but challenging workout. I love the diversity and the instructors are really very good! Marion is an excellent trainer who cares about all of her clients. Her classes are fun and beneficial to our whole body. I find Brand Fitness to be an encouraging, supportive environment where you can become the best/fittest you possible. Their energy/joy for their clients' achievements is/fantastic coaching and guidance on your journey is why I keep coming back. Always have an excellent workout with Marion! Love her energy! !